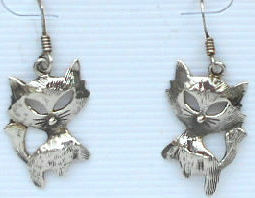 There are two distinctive little kitties on these silver cat earrings. The cats are 5/8" high x 1/2" wide. Very light weight. Previously owned but in good condition.